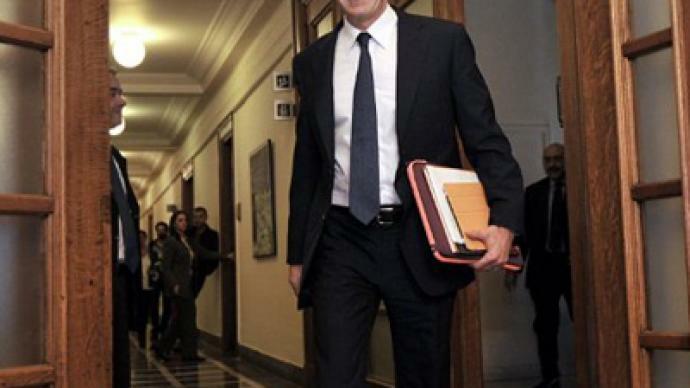 Greek Prime Minister George Papandreou has scrapped his plan for a referendum on the EU bailout package. Earlier he denied rumors of his possible resignation. ­During his speech in parliament on Thursday he warned that early elections would be “catastrophic”, entailing a high risk of bankruptcy and even lead to an exit from the euro. The confidence vote for the government is expected on Friday. He also invited the opposition join the debt-deal negotiations. 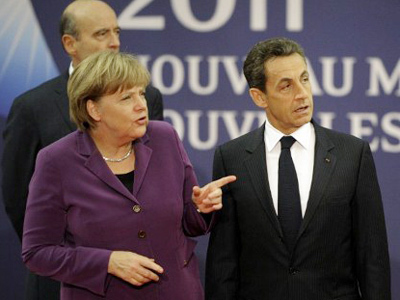 “If the opposition is willing to negotiate, we could ratify the eurozone bailout deal”, he is quoted as saying by AP. The Greek finance minister, Evangelos Venizelos, also confirmed that the country will not be holding a referendum. 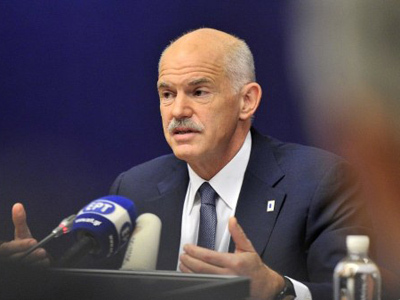 Papandreou came under growing pressure to resign after calling a referendum. 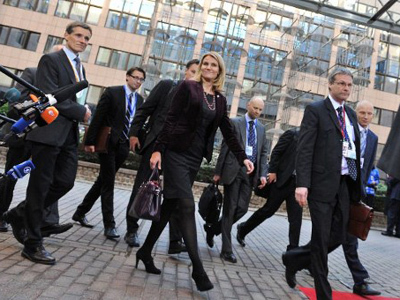 His finance minister, Evangelos Venizelos, declared on Thursday he was against that move. At first he supported Papandreou’s decision, but changed his mind after his and the PM’s meeting with French President Nicolas Sarkozy and German Chancellor Angela Merkel. On the eve of the G20 emergency talks on Wednesday, the top Greek officials were summoned by the eurozone’s two most-powerful politicians as well as the IMF and ECB. 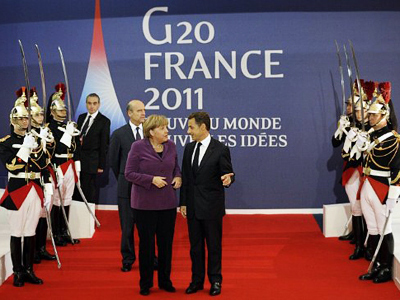 The message they wanted to deliver was that his country needs to play by EU rules or leave the eurozone. Earlier, some parties who dislike the idea of a referendum demanded that a coalition government be formed. 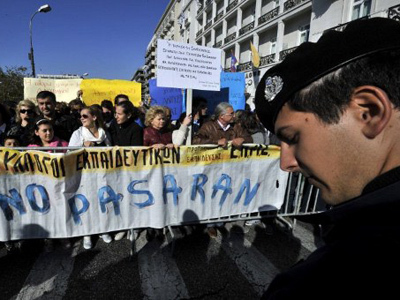 That idea came from several deputies of the country’s ruling PASOK socialist party. Similar claims came from conservative Opposition Leader Antonis Samaras. He insists on the formation of a transition government and the immediate ratification by parliament of the new eurozone debt agreement. The referendum in Greece over the 130-billion-euro bailout program to relieve the country’s finances sparked concern across the eurozone that banks will not restructure the Greek debt until the results of the ballot emerge. This has sent the eurozone into weeks of financial uncertainty, with markets deflating. ­In spite of the chaos in the markets for the past couple of days, this Greek gamble on the referendum seems to have yielded a positive result, says Thomas Thygesen, chief strategist at SEB Merchant Banking. This could have been achieved with a referendum, but if now it ends up in a political deal with the same result, Goodman believes it’s clearly positive – at least in the short-term. While some doubt that it’s wise of European leaders to try to keep Greece in the eurozone, Thygesen argues that even if it’s probably true that the country shouldn’t have joined in the first place, now there are two reasons to keep them in. RT producer, Demetri Kofinas, thinks Greece is heading for an inevitable default. Speaking about the on-and-off referendum Kofinas says that no-one really understands why the prime minister called for a referendum in the first place.